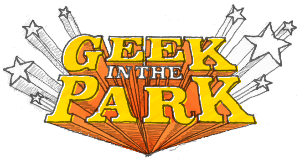 A free family-friendly gathering for web designers and developers, Geek in the Park is a day long event held every year in Royal Leamington Spa. The day starts with a picnic in Jephson Gardens, before heading indoors for an evening of illuminating talks by respected industry leaders. This years event takes place on the 15th August (that’s next weekend! ), with the picnic beginning at 12 noon and the evening talks starting at 7pm, held in the rather impressive Royal Pump Rooms. Simon will be talking about ‘Nailing Your Own projects’. I saw Simon speak at this years @media conference about the ‘Process Toolbox’, a presentation that was as beautiful as it was overflowing with useful tips and techniques, so forgive my heightened expectations for this particular presentation. For more details visit this years event site, and let us know if you can make it on the Upcoming page. Of the many paid for conferences available each year, I’ve always maintained that dConstruct and An Event Apart are the two not to missed. Both have an unrivaled focus on quality, both in terms of the overall conference experience, as well as the content provided by the featured speakers. Unfortunately I won’t be able to attend An Event Apart this year, but being a fully paid up member of the Elf Cartel, means I can once again revel in the unbounded geek-fest that is dConstruct. For dConstruct 2009, it would have been easy to play it safe, choose a recession-proof theme and book the typical rockstars. However, I’m glad that we chose to stay true to our philosophy of pushing the envelope. And that’s just it. Sometimes it’s good to reach outside your comfort zone (both as a conference organiser and as an attendee). Experience tells me that it is often such speakers—Adam Greenfield, Mike Migursji, Russell Davies—names I’m not familiar with, that end up providing the most valuable and thought provoking presentations. As such I’m sure this conference will turn out to be one of the most inspirational I’ve attended in a long time. There are still a few tickets remaining, and still at the ridiculous price of just £115 + VAT, meaning you have really have few excuses not to join us in Brighton next month. Finally, one lucky person could win a VIP ticket to the conference (with two nights accommodation and a place at the speakers dinner) by posting to Flick an image of what they would like placed in the dConstruct Time Capsule. Find out more about the competition here, and good luck!